MCPL Movie Night: "Green Book"
Join us for a free screening of the Academy Award-nominated film "Green Book" and bring your popcorn! 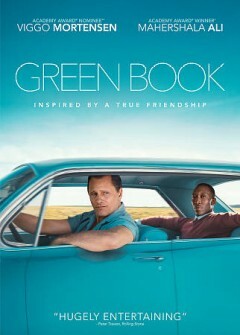 A white bouncer (Viggo Mortensen) bonds with a black musician (Mahershala Ali) while chauffeuring him around the Jim Crow South. The film is nominated for Best Picture, and Mortensen and Ali are both nominated in the actor and supporting actor categories.